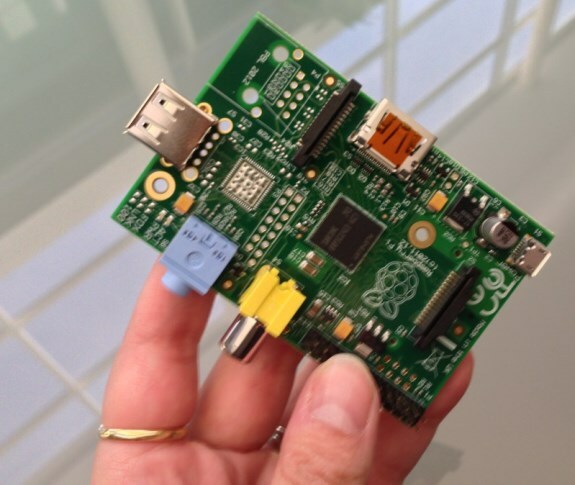 Raspberry Pi announced that the first samples of the company's Model A system have been completed. Expected to hit the market in early 2013 for $25, this model is $10 cheaper than the currently available Model B. The main difference is that while Model B has Ethernet, 512MB RAM and two USB ports, the Model A has no Ethernet, only one USB port, and 256MB RAM. Isn’t the Model A kind of obsolete now the Model B has twice the RAM? What could I use it for? We’re anticipating that those of you who buy the Model A will be using it for different applications from Model B owners. Model A has no ethernet and only one USB slot – and importantly, it consumes much less power than a Model B because the ethernet chip’s missing. We’re seeing demand for the Model A from people making industrial control modules, from roboticists, from people doing automation, for a bunch of headless operations – and, significantly, for people who want to use the Pi as a very cheap media centre. The Model A will only cost $25 (plus tax and shipping).